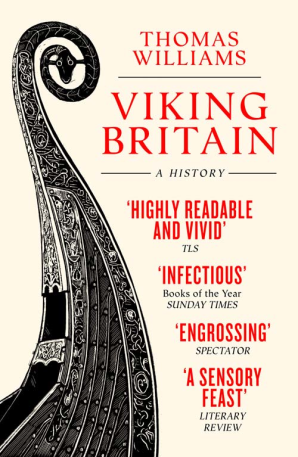 In addition to the publications listed below, Thomas has had his work published in The Idler, BBC History Magazine and Medieval Warfare Magazine, and has contributed reviews to Medieval Archaeology, the Cambridge Archaeological Journal and the Saga-Book of the Viking Society for Northern Research. He also worked for two years as senior editor of the journal Papers from the Institute of Archaeology, overseeing issues 21 (2011) and 22 (2012). (2015) [with M.D.J. Bintley] Representing Beasts in Early Medieval England and Scandinavia, Boydell & Brewer. (2016) ‘The Place of Slaughter: The West Saxon Battlescape’, in R.Lavelle and S.Roffey (eds.) The Danes in Wessex: The Scandinavian Impact on Southern England, c.800-c.1100, Oxbow. (2015). ‘For the Sake of Bravado in the Wilderness: Confronting the Bestial in Anglo-Saxon Warfare’, in M.D.J. Bintley and T.J.T.Williams (eds.) Representing Beasts in Early Medieval England and Scandinavia, Boydell & Brewer. (2013) [with Gareth Williams]. ‘The Wallingford Coinage’, in N. Christie, O. Creighton, M. Edgeworth and H. Hamerow (eds. ), Transforming Townscapes: From Burh to Borough, the Archaeology of Wallingford, AD 800-1400, Maney Publishing. (2015) ‘Landscape and Warfare in Anglo-Saxon England and the Viking Campaign of 1006’, Early Medieval Europe 23(3). (2012) ‘The Mint at Wallingford’, Yorkshire Numismatist 4. (2012) ‘A Blaze in the Northern Sky: Black Metal and Crimes against Culture’, Public Archaeology 11.